We have use of the lot behind our restaurant on the Line Street side. Live music with the Kings of Jazz every Thursday from 7:00 until 10:00. We offer seatings at 6:00 and again at 8:00. In order to accommodate we require all tables from the 6:00 seating to be returned to us no later than 7:45. Spanish tapas with a southern drawl. We are open 7 days a week, and serve brunch every Sunday from 11:00 - 3:00! We source our ingredients as close to home and we are vegetarian, gluten-free, and vegan friendly. We offer live music with The Kings of Jazz every Thursday from 7 until 10. We have two seatings for the show - one at 6:00 and another at 8:00. We kindly request the 6:00 seatings return their tables no later than 7:45 in order to accommodate the following seating. 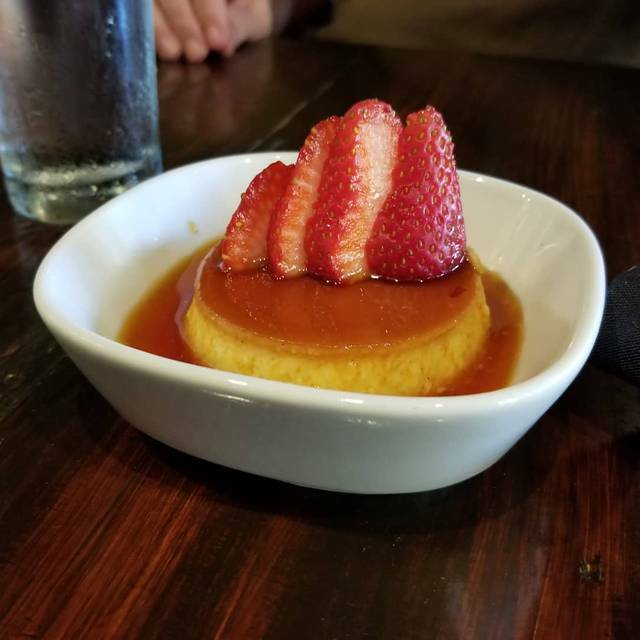 While we offer some bookings for the later seating online, if you would like to make a reservation for the first seating please call us at 843.577.5393. I’ve heard so many amazing things about Barsa and they definitely did not disappoint. Max, our server was fantastic. Great with recommendations and any questions we had. 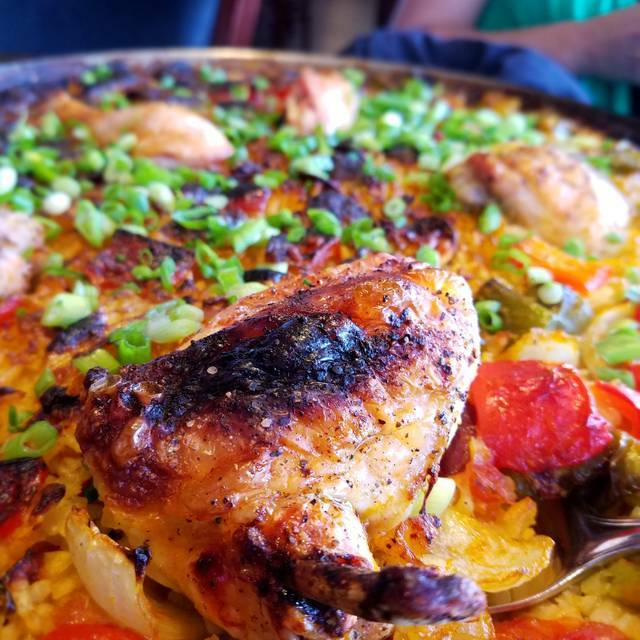 The chicken and chorizo paella was outstanding!! The only negative was that it was our anniversary and there was nothing mentioned. I will definitely return though! The ambiance was lacking as we had spot lights shinning right on us. The food was good, but not something I’d have to go back for. Barsa is always excellent! Brought a friend to try it and she was very impressed. The beet salad is divine, with a yummy yogurt dressing. 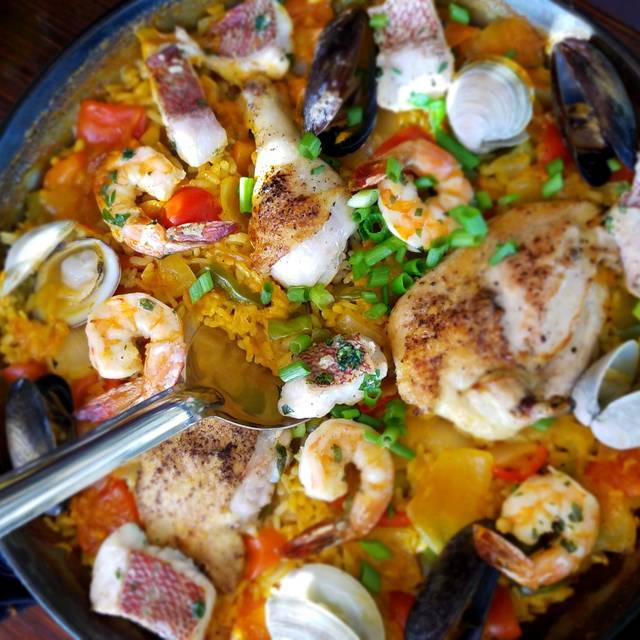 Seafood paella is worth the 45 minutes you need for them to make it ... fresh and delicious. Also had the broccolini, with a wonderful zing of red pepper, and the ciabatta with manchego (my husband's favorite). Barsa always delights us! Sitting outside was really nice. 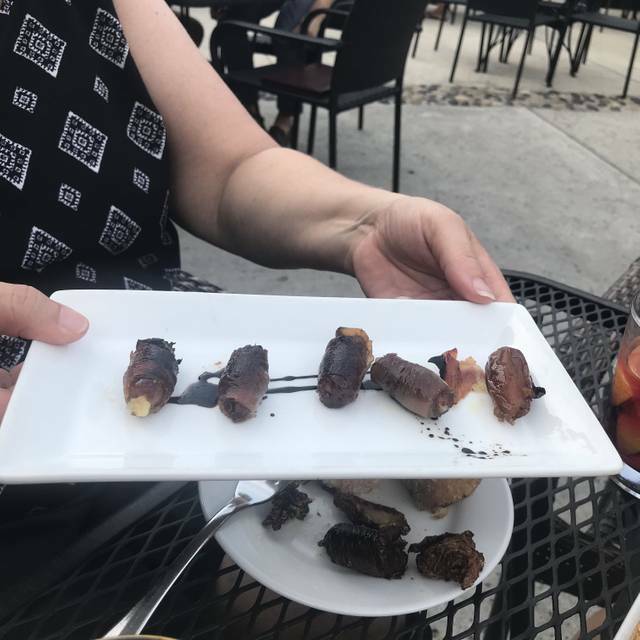 Food is great, just wish they’d space it out better! My wife and I went there for the first time and left very impressed. The service was great from the moment we sat down. Our server was very knowledgeable on the wine and knew the menu inside and out. The food came quickly and was spaced out just right. I highly recommend Barsa and we will definitely be back. The service was very disappointing and very slow. Waitress recommend sharing a dish that was not enough for 2. Waited at least 45 minutes to get this dish. Ordered a glass of wine and after 20 minutes she said that they were out of that wine. Left hungry and went downtown and had pizza. They offered a free dessert pathetic. They should have taken that food off the bill. I'm actually sorry I left a good tip. As far as I'm concerned they owe me a dinner.Roger 973-222-3362 give me a call. great music, but impossible to talk, even to the person sitting next to you. food was yummy and lots of good selections. great place to hang out listening to music while enjoying good food. Website & Open table did not mention outside seating was available but we did enjoy the raised seated table. Our server was great & overall it looked and sounded as if every server would have been great that night. I would definitely recommend Barsa if you’re looking for a relaxed casual atmosphere, very good food, and a very reasonable price. The service was only so so, but the salad and paella we shared were delicious. Good selection of low priced wines by the glass. Overall a great value. Fun place with eclectic tastes!!! Awesome and unique!! Service was terrific! Excellent all around. One of the best meals we’ve had in Charleston. Highly recommend! Service was great. Loved the food and the variety of tapas. 1st time at this restaurant and was outstanding! Always love the different flavors of tapas and was very pleased here! Great preparation. Service was great and food was excellent. This will be on my list next time I am in town. 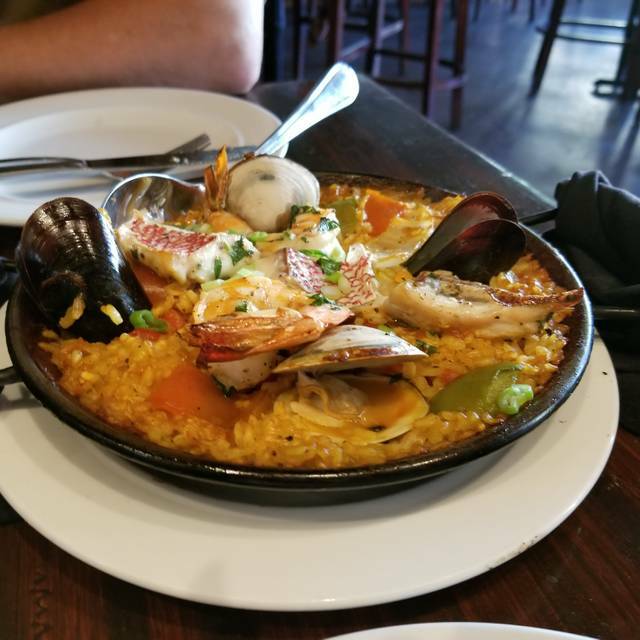 Just OK- Barsa is typical of a “hot spot” that doesn’t really live up to the hype. Definitely a cool place, but the food is very average, and overall experience left us disappointed. 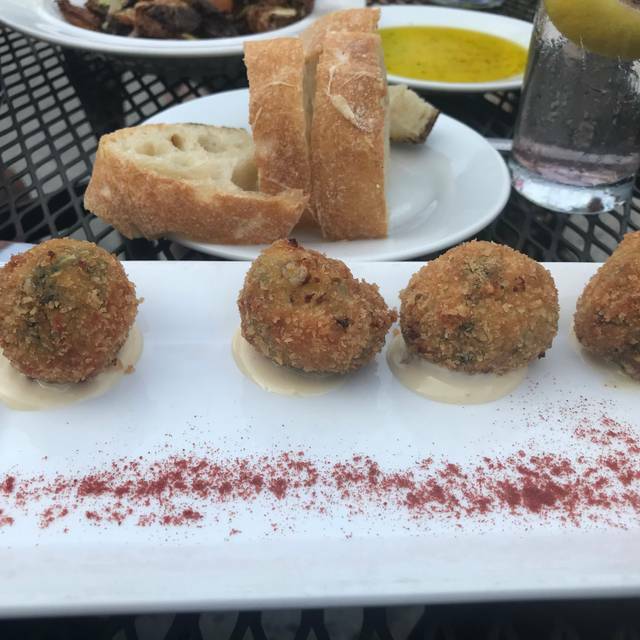 We love to order several different small plates and share. The local shrimp were awesome and service was speedy. Calamari, tile fish and hanger steak were the stand outs for us. Great waiter! Friend from out of town visiting. We had fun! Isaac was our waiter and was very attentive in spite of a large “Happy Hour “ crowd. Food was excellent and we had a great time. Definitely a place to visit again. Our favorite. Great food, service, value, plus parking. You just can't go wrong dining here. Wonderful food and service. Flavors are on point!!! The food and the drinks are outstanding. 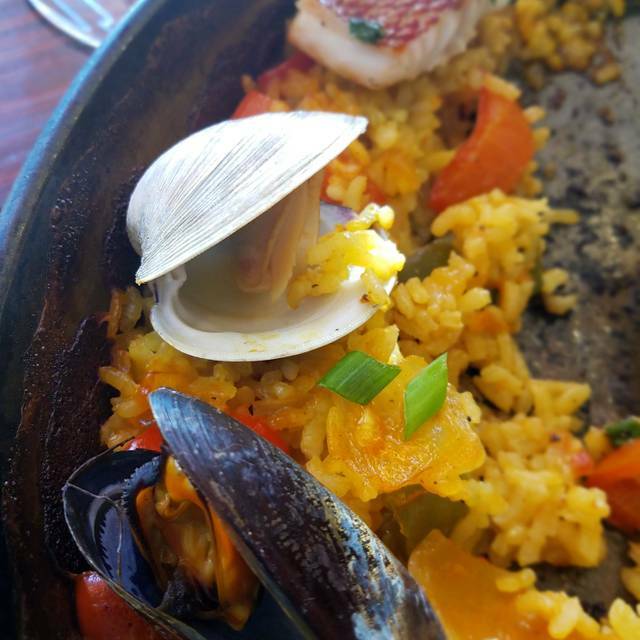 We tried 6 different little plates and the seafood paella. Everything was very flavorful and done perfectly. Authentic spanish tapas and these guys know how to make sangria. Wine, olives, and tapas. Yum. It felt like Spain. Great atmosphere and service and good. Good selection. Meatballs - exceptional. Pan con tomate - great. Calamari - wonderful. Paella - not my favorite, but not bad. The rice was good, but could have used more meat and seasoning (my personal taste - you may love it). Overall, it was awesome and I'll be back. Really liked it. Emma who waited on us was fantastic!! Food was excellent however service was slow. Loved the ambiance - they have an outdoor patio for when the weather is warm. Outstanding! Our server was delightful ... attentive without being overbearing. 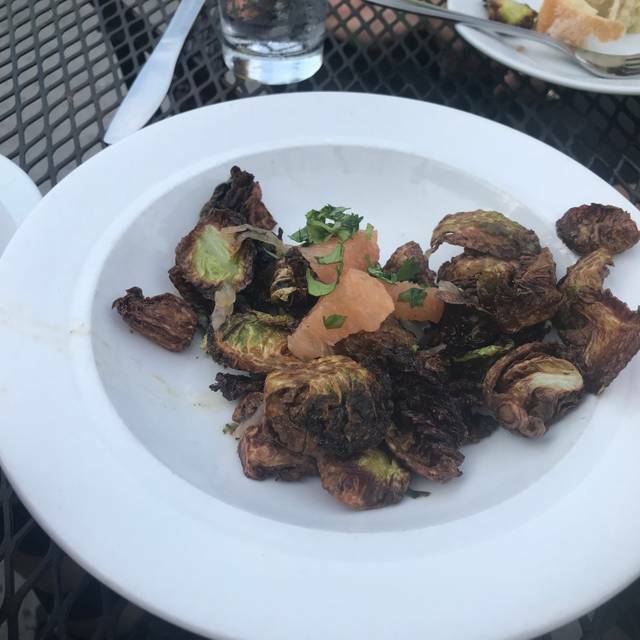 The beet salad is scrumptious and the brussels sprouts were diving (and we are picky about our brussels sprouts). 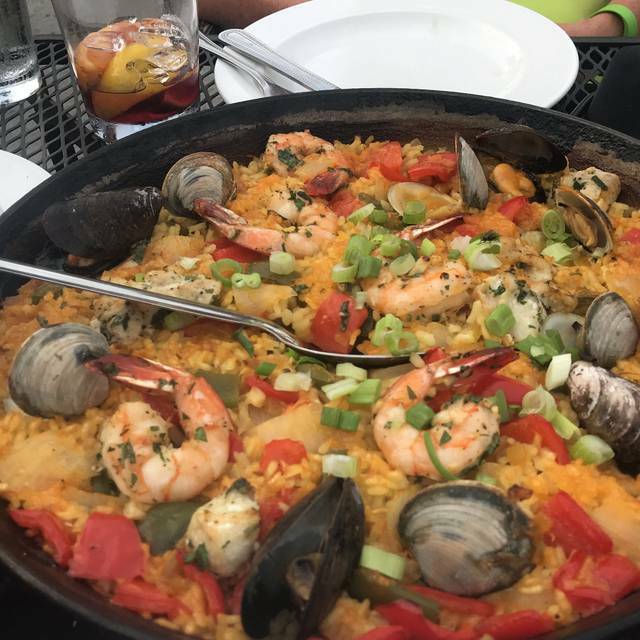 My husband and I shared paella and it was excellent. Happy hour at Barsa is such a great value, but their menu is a great value any time. We are frequent diners at Barsa and will continue to be. We had a party of 8 including one toddler and they were very accommodating. Food was amazing and server was very attentive! Wonderful place to dine with a group because it's Tapas and generally not too expensive. Recommended!